MOSCOW (Sputnik) - UK Prime Minister Theresa May has said that she is now absolutely determined to fully withdraw the country from EU customs union within wider Brexit process. Previously, May proposed a hybrid option of "customs partnership" with the European Union meaning the United Kingdom would continue to collect tariffs set by the EU customs union for goods coming into the country on behalf of the European Union. However, members of her cabinet rejected such an option on Wednesday. "My absolute determination to make a success of Brexit, by leaving the single market and customs union and building a new relationship with the EU partners that takes back control of our borders, our laws and our money," May wrote in an op-ed for The Sun newspaper on Sunday. May has been recently criticized by a group of pro-Brexit Conservative lawmakers, who sent a letter to the prime minister, arguing that the "customs partnership" is "undeliverable in operational terms and would require a degree of regulatory alignment that would make the execution of an independent trade policy a practical impossibility." In meantime, UK Business secretary Greg Clark has warned that thousands of British jobs could be at risk if no customs partnership is established between the UK and the EU. 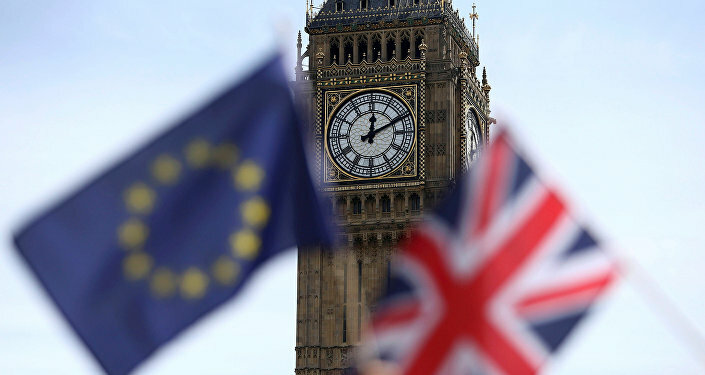 The United Kingdom is expected to withdraw from the European Union by the end of March 2019, but London has been seeking a two-year transition period to smooth out the exit, as well as guarantees of a future relationship with the bloc.